in East Lancashire including Bury, Burnley, Blackburn and the surrounding areas. I’m Linda Healey, welcome to PetStay East Lancs & Bury. My two friends are Lex and Zena, who used to be well cared for at Bleakholt Animal Sanctuary but who then found their forever home. Like Lex and Zena, most dogs would prefer to be in a home rather than a kennel. PetStay East Lancs & Bury has handpicked hosts who are home during the day and have secure, fenced gardens. All our carers are dog lovers who will look after your pet as if it was their own, giving it plenty of playtime and cuddles in a secure, caring environment. You can trust us to look after your pet and keep it safe and happy. If you are going away and need a holiday home for your dog, or if you would like to find out about becoming a carer, please get in touch. To find out more or to arrange a visit to one of our carers in the East Lancs & Bury area, please get in touch using the details below. At PetStay East Lancs & Bury we have many caring and affectionate pet sitters in Bury and the surrounding areas that are experienced with dogs, insured and have been carefully chosen to provide a better experience than dog kennels for dogs whilst their owners are away on holiday. PetStay have gained an outstanding reputation over the years for providing an excellent dog sitting service and now PetStay East Lancs & Bury are becoming well known as your local dog sitters in the Bury, Blackburn and Burnley areas. We are licensed and insured to care for your dog while you are away. Now looking for carers in Bury, Rossendale, Burnley, Clitheroe, Whalley, Pendle, Accrington, Blackburn, Darwen and surrounding areas. I would like to thank PetStay and Ian and Brian who had Coco and Nala. My dogs had a fabulous time and I felt very content and sure that my dogs were safe and very happy. The whole process was very efficient and stress free to organise. I would highly recommend PetStay to anyone who wishes to use home boarding services for their dogs. A wonderful experience for dogs and owner. Many thanks. Just a line or two to say we were really pleased with Harry’s stay with Louise and family. He was really cared for in a home from home situation, and was well settled in when we went to collect him. Louise followed our routine and feeding patterns, and we tried to remember all his little ways and behaviours. As he is a big lively dog, Louise managed him very well, and I could tell he loved the family home and people in it. Felt very reassured by a few pictures and texts that provided us with updates whilst we were away. The access to a secure garden was an added bonus as he could play with his ball off his lead, under supervision, to have some free run time. Would definitely recommend Petstay. Far better than kennels. “This is the first time I have used PetStay. I was really nervous about leaving Monty, but Chris and Jenny soon put my mind at rest. They sent me photos and texts. I could tell that Monty had made new friends and had certainly made himself at home. He had a great time with lots of walks, allowing me to relax and enjoy my holiday. I can’t thank Chris and Jenny enough for the love and care they gave Monty. Everything was fabulous, what lovely people! Thank you so very much. Ted had a great weekend away at Andrea’s, playing with Patch her Jack Russell. Judging by the photos Ted certainly made himself at home & settled in well. Thanks for making him so welcome. My puppy Prince stayed with Judith & her hubby in Bacup. We were so pleased that Judith could take him at short notice because we didn’t want to put Prince in kennels. Linda introduced us via PetStay & from the first few minutes we knew that Judith was the right person to take my boy. Judith was knowledgeable, kind, caring & firm. She made us feel relaxed about going away; up to then I was very nervous. I was so grateful to have Prince stay with such a lovely lady where he could play with her dogs & have fun for a week. I would recommend Petstay & Judith to all dog owners. I collected Marni from Ann today. She has spent a week with her and Peter and she has loved it. It was so reassuring to get lovely messages from Ann to let me know all was well and how Marni was getting on. We are so pleased with Lola’s stay with Andrea, she has been looked after and didn’t want to leave! Andrea is a lovely lady that looks after your pet as her own. As soon as we have our holiday dates for next year we will be in touch. Rex and Flynn, our 2 Whippet boys, have just had a 12 day stay with Caroline. The care they received was fantastic! Caroline kept us updated with photos showing how they were getting on, and as you can see, they were relaxed and more than happy in their ‘home from home’. Thank you Caroline and PetStay, we would strongly recommend them to anyone looking for someone to care for their precious pets. I must say Zandra was extremely well looked after by Linda and Peter during her recent stay with them. It’s so reassuring to know that she is in such a caring, safe environment when we’re away and I feel that Zandra was genuinely considered to be a member of their lovely family. I hope that Zandra can visit Peter and Linda again in the future and I’m sure she’d be so happy to see them again. This was the first time I’ve used PetStay and I will definitely be using them again. My two Jack Russells came home happy and contented after their two week stay and I had a worry free, relaxing holiday. Thank you Olwyn and Rochelle. We were very satisfied to leave Sadie with Ann and Peter as they looked after her like their own. You got regular updates and photos of her which made it easier for us having been the first time we have ever left her. Thank you for making our holiday easier to enjoy. Would definitely recommend and would definitely take her again when the need arises. Rocky stayed with Louise whilst we were away for the weekend, she was very accommodating, sent many pictures and updates throughout his stay and has a great family and house for Rocky to play in. Would highly recommend, very professional service. Picked Ralph up from Gerard’s this afternoon and just want to say thank you so much for matching them. Ralph has come home his happy normal self and Gerard seemed happy about Ralph’s stay. So success all round. We’ve just picked up Cooper today from Karen’s and wanted to send a quick message to say he’s had a brilliant time. Karen and her partner have looked after him really well and he’s loved being in the house with Lola. Thanks for having him and setting him up for his stay! We’d definitely like to use PetStay again in the future! Just thought I’d drop you a line to let you know how happy Bill and Leo were on their holiday with Brian and Ian. As you know they had never been away from us before, but they had a marvellous time. They came back to us happy and healthy and Brian and Ian helped us feel totally content with their regular updates whilst we were away. This is the first time we’ve used PetStay and are delighted- Andrea has been brilliant with our collie Isla who has come home happy and healthy, and her own dog Patch is a delight! We will definitely use this service again. Just got back from our mini break and would just like to say that Caroline was the perfect dog sitter. Bobby and Molly took to Caroline straight away. She sent us plenty of photos and messages to put our minds at rest. We could see they were enjoying their stay with her. She was professional, keeping to their routine and also gave them lots of walks. Caroline was also very affectionate towards the dogs and her love of dogs really comes across. We would not hesitate to ask Caroline to dog sit Bobby and Molly again and we think they would be more than happy to stay with her. This was Percy’s first holiday. 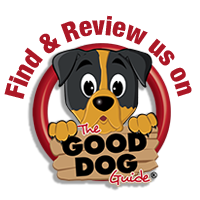 Andrea was exceptional – very dog knowledgeable and kind. Her Jack Russell was the cutest thing and Patch and Percy got on famously. Thank you so, so much Andrea and Linda for sorting us out. We had never left our rescue dog ( Alfie ) before, after reading reviews about PetStay thought I’d get in touch with Linda; whom introduced us to a lovely lady called Joy, we met Joy & her dog Gizmo a few weeks before we were going on holiday, whilst we were away Joy sent us texts & photos, videos too; really put our minds at ease, we saw he was having a great time too! I’ve just picked up my two Puggles Nancy and Dexter from Brian and Ian. I was so anxious about leaving them for the first ever time but I was put right at ease once I found your service. Brian kept me updated every day with pictures and a little about what they’d been up to during the day. This was so reassuring for me! Nancy and Dexter seem to have had a really good time on their holiday and always looked so relaxed and settled on the photos, Dexter was even reluctant to come home! I will definitely be sending them to Brian and Ian for their holiday next year too! 5 star service from start to finish. Linda was great and always got in touch really quickly when we sent messages. This was the first time that our puppy was left with anyone and Chris looked after him really well. She was very calm when we arrived flustered and took some lovely pictures to show us on our return. We would happily recommend Linda, PetStay and Chris. Daisy spent the week with Judith. It was the very first time I’d left her with anyone. I received regular texts, which put my mind at ease and allowed me to enjoy my holiday, knowing Daisy was being well cared for. Would definitely recommend. Tobi stayed with Fran for just over 2 weeks, he had not stayed there before but seemed very happy with his stay and I was kept in touch with videos and messages so we were both happy. Many thanks. We were extremely pleased. Mollie had a fab holiday and was spoilt rotten. She was very well looked after, we know she was walked a lot and we found Mark very friendly. Thank you for a perfect match. We recently left our 5 month Cavapoo with Linda and Peter, I was obviously worried as he was so young, but I needn’t have been he certainly was looked after extremely well. He settled in straight away and had a great holiday himself! I would recommend PetStay to anybody. Linda Arranged for us & Frodo (our dog!) to meet with Linda & Peter within days off me contacting her, when we met them Frodo got on with them straight away. Linda sent me regular emails on how he was doing so I was able to settle and enjoy my holiday. Already booked with PetStay for our next two holidays. Very professional and accommodating. We were really happy with PetStay and would highly recommend! Linda put us in contact with Joy really quickly and everything was sorted out without any hassle. Our black Labrador Freddy had a great time, I don’t think he wanted to come home. Joy kept us updated with photos, messages and videos and we didn’t worry about him at all whilst we were away as we could see he was being taken great care of. Joy was absolutely brilliant and we’ll definitely be booking him in again next time we go away. Thanks! At last minute Linda was fantastic at matching our little dog with wonderful holiday parents, after a bad experience in kennels I cannot recommend this service enough. Fran and David put us at ease within minutes of us entering their home and Bonnie had clearly had a ball when we picked her up!! Thank you so much Linda, Fran and David! Our dog Hobnob had a wonderful stay with Gerard during May half term, he was spoiled rotten and was very settled. We got a few emails with pictures while we were away and felt secure that our dog was in safe hands. Our three large dogs have just had their first stay with PetStay. Two of them are still puppies and haven’t been left before so we were a little nervous leaving them. We met Lynda with the dogs prior to our stay and we knew that she would look after our boys well. We left them for just one night but it was like home from home. Lynda and Bryan took excellent care of them and knew our dogs well by the time we came to pick them up. An excellent service which I would highly recommend. Thank you for organising Perry and Pablo’s holiday. I think Lynda did a great job looking after Perry and Pablo – they were very happy at Lynda’s. Nothing seemed to be too much trouble for Lynda and she did her best to make them feel at home. They were clearly two happy settled dogs when I came to pick them up. I really liked the PetStay approach – particularly having the opportunity to meet with Lynda beforehand. So glad we found PetStay and were introduced to Keith and Anne who took wonderful care of our cockapoo Poppy. Their love of dogs is so genuine and they very kindly treated her eye condition which was diagnosed only 2 days before she was due to stay with them. We could relax more knowing she was in such good hands and receiving messages and pictures was a bonus. She certainly seemed to have enjoyed herself. First time we have used PetStay and would highly recommend Linda and the service, also massive thanks to Keith and Anne – hope to see again. A big thank you to Keith and Anne for taking such wonderful care of our very much loved dog Matilda. This was the first time we have left her in 7 years with anyone other than family so we were understandably a little nervous but we need not have worried. The love and affection Keith and Anne showed Matilda was much appreciated by both us and Matilda. We couldn’t have asked for anything more and are really grateful to them and would thoroughly recommend both them and the PetStay service. Once again I would like to thank you for finding the very best holiday home ever for our Border Collies, Meg and Gem! Sue and Jeff were just fantastic with them. They were ‘at home’ immediately and just loved Sue and Jeff. Three weeks is a long time to be away but knowing they were in such good care made all the difference. Also receiving news and photographs of their activities during our time away was brilliant. It showed that they too were having a great holiday. They really were cared for so well and I can’t thank Sue and Jeff enough for everything they did for them – just amazing! Thank you Linda for finding them such a lovely holiday home. Many thanks to Janet & Colin for looking after our Jax. I would not hesitate to recommend them to anyone as a very caring couple as he certainly appears to have enjoyed his stay with them. From initial contact with Linda I was sure PetStay was the way forward. She listened to our needs for our mini schnauzer, Ozzy, suggested a couple of possible matches from which I chose whom I thought was the best match on paper. Details were then exchanged with Caroline who I felt was our best match. I went to meet with her and took Ozzy along. Within minutes I felt like I’d known her forever and Ozzy was making himself at home. He’s just had his first stay with her for 6 nights and Caroline sent us a couple of messages and photos as she knew I was worried as we’ve never left him before. He was soon cuddling up on the sofa and enjoying life. He’s due to go to Caroline later in the year for almost 3 weeks and I know he will be well cared for, walked and settle well. I travel over 30 miles each way for the right pet sitter. Can’t recommend this service enough. Feel like I’ve had a tonne weight lifted as having previously looked around kennels and met other pet sitting services I’d been unhappy to leave my little walking partner but PetStay are marvellous. Thank you Linda and Caroline. Just to say ‘thank you’ for arranging Gem and Meg’s stay with Sue and Jeff. They had a wonderful time and both dogs were so well looked after – spoilt, I dare say but they loved all the attention. Can’t thank Sue and Jeff enough – it’s so great being able to go away knowing the dogs are happy and being so well cared for – thank you! Ruby stayed with Colin & Janet, can’t recommend enough, so pleased to know she was so well looked after. I have just collected Megan from her stay with Fran and David and wanted to feed back how delighted I am with how she has been cared for. The whole experience with them has been great, they were very reassuring and accommodating. We just hope they will welcome her back now!! We left Shadow with Fran for two weeks and she seems to have absolutely loved being there. When I went to pick her up she was so happy and at home and has obviously been very well looked after by Fran and her husband – to the extent that I felt bad taking Shadow away from her holiday home! We would definitely use PetStay again and know that Shadow would be very excited to go back to Fran’s. Many, many thanks to Linda for finding such wonderful boarders to care for Clancy & Ben over a long weekend at short notice. We had regular updates and photos from Sue & John and the dogs were happy and relaxed after their stay. A wonderful service, highly recommended. This is the first time I have used this service but would certainly recommend it. The dogs were spoilt rotten and when we went to pick them up were obviously happy. Pictures were sent daily whilst away. Would use this service again definitely. Just to say both us and Tippy were very, very happy with the care and attention provided by Hayley and her daughter during Tippy’s stay. We could not have been more impressed and will certainly be using your service again. This is the first time I have left my pooch with anyone other than family or friends. I have to say that Joy was absolutely fantastic and really looked after Ozzi, so much so I have had a sulky dog since she came home. I was a little worried due to my dog being blind and having lots of allergies but this didn’t faze Joy at all and there were no problems. The whole booking process was straightforward and the meet and greet appointment does put your mind at ease. I will definitely use this PetStay again. Beau, our cockapoo, stayed with Debi and her lovely family for 2 weeks. She was treated like one of the family and was well looked after. I will definitely use PetStay again if we need to in the future. Just want to say thanks very much to Keith & Anne – Coco had a great time, was so happy and is looking forward to going back in October. As for us we enjoyed our weekend away knowing Coco was being looked after by Kieth & Anne. Very pleased with this service. My dogs carers were amazing and I will definitely be using them again. Thanks. Coco has stayed with Isabel twice this year. Would recommend PetStay to everyone, staying in someone’s home as part of a family instead of kennels. Missy experienced a true home from home for the four weeks she was away on her holiday with Ian and Caron. We received regular messages, updates and photos which ensured we could relax on our holiday knowing an important part of our family was having a great time. The moment I saw her after such an extended separation I knew she was very happy, healthy and relaxed and content to be home again. Thank you for taking such great care of her. Can I just say how wonderful Judith was, and how much fun Stanley had. She and her family are a credit to the organisation and we were thoroughly impressed. She and her partner are lovely, caring people. We were very happy with Janet & Colin. I couldn’t have hoped for a nicer couple to look after Snoopy, she seemed to settle very quickly there. We may be moving home later in the year and intend to use your service again, hopefully with Janet and Colin again. Dexter had a fabulous time with Brian and Ian. I like how we got to meet them and see their home before booking. Also the regular updates including photos whilst we were away really put our minds at rest. Would highly recommend, much nicer than kennels. Max was a very lucky puppy when Linda matched us with Caroline in Darwen, she looked after him as if he were her own. She sent us updates and pictures whilst we were away which was very reassuring that he had settled in . When we picked Max up he had been well cared for, he was happy and he had grown in the two weeks we were away. We have already booked Max in to stay with Caroline again. We would highly recommend Caroline and PetStay . We had our dog Jasper stay with Judith, our dog carer from Bacup. From my initial contact to meeting Judith at the pre boarding meeting we were made to feel completely at ease with all aspects of our dog boarding experience. Jasper was a rescue dog who came from Terrier rescue and had been subject to a hard life pre rescue so it wasn’t the best thing for him to go in kennels. Jasper came home in a happy and contented condition which we were very happy about. Thanks to Linda for her attention and arrangements and big thanks to Judith and family for the care our dog received. We are very pleased with the service and care we received. We will not hesitate to use PetStay again! We’ve used PetStay several times now for Maddie and have always been very happy with the service provided. Maddie is always well cared for and has now stayed a few times with a carer very local to us. Maddie is a very boisterous, energetic dog (due to breed and age) but the carer manages very well. Maddie is always happy and excited and enjoys the company of the carer’s own dogs. We have no hesitation in making arrangements again in the future through PetStay. Thank you so much for placing Henry with Janet and Tony – they were fabulous. We collected Henry and he seemed most at home, his coat was so shiny and soft and the fact that he had not lost any weight (think this was down to Henry eating Janet’s cod liver oil tablet when she was not looking from the work tops and Tony’s cheese and crackers) showed how much he enjoyed the experience. In fact I would go as far to say he was sulking when he came home for a day or two. Please pass on my thanks to Tony and Janet they are fantastic. First time I have used PetStay and I would highly recommend them. My labradoodle Meg stayed with a lovely couple, Roger and Hazel, who enjoyed having her. Meg was well cared for and very happy to stay. I am away again in September and Roger and Hazel are looking after her again for us. Thank you for looking after her so well and putting my mind at ease. I am so happy I found PetStay for my two dogs, Poppy and Trust. Trust is a rescue ex-puppy farm dog who cannot be left for long periods, and Poppy has epilepsy which can be triggered by stress, so kennels were just not an option. I was really worried trying to find a home boarders suitable for them for when I was away last year for almost three weeks. Linda was super professional and put me totally at ease. I went to meet with the home boarders (Gerard & Yvonne), and introduced them to Poppy and Trust. They were unfazed by their medical issues, and I truly felt that they were in the best hands whilst I was away. They sent me photo updates every couple of days via email which was very reassuring, and I came home to two very contented little dogs. They’ve since stayed with one of Linda’s other home boarders, Fran, who is equally as lovely, and are booked in again in August. PetStay have taken the stress out of going away on holiday and short breaks, and I have already recommended PetStay to lots of people. This was the first time we have left Busby and Spudz with anyone other than family members. We can honestly say that we would be more than happy to leave them with a PetStay family again. Our carer Ryan and his family were lovely warm people and you just knew that they loved dogs. When we collected Busby and Spudz they were absolutely fine and had no anxiety issues when we got them home, which proves they were happy to be with Ryan. We can highly recommend this service as a stress free option of having time away. I needed a dog sitter at short notice and a friend recommended I call PetStay. Linda was attentive to my requirements and was able to match my breed of dogs with a perfect sitter. I registered easily online and an arrangement to meet the local dog sitters was made quickly. I went through my dogs requirements with the sitter who made me feel welcome and who made both our dogs feel at home immediately. Nothing was a problem. Working with experienced dog owners was really reassuring. If I have a need again I know who I’ll be calling; PetStay. Anne and Keith were absolutely fabulous with Daisy. We’d arranged our trip with the grandchildren prior to her arrival, and as she’s such a tiny puppy I was extremely anxious that she go somewhere she’d receive lots of cuddles and attention. I was also worried the “housetraining” would take a backward step. They listened to all my paranoid concerns and took them seriously. Not only did they care for her wonderfully, they gave her a lovely holiday and made all sorts of adaptations to their house and garden to accommodate her. I would have no reservations about using them again. Ian and Caron are so friendly and obviously caring towards not just the dog they are looking after, but also ensuring us as the owners are completely comfortable. We were kept updated each day on Connie’s stay which was also a huge help. The service from PetStay has been excellent from start to finish, to give us the owners every bit of confidence that our dog will not only be well cared for, but that she has an enjoyable time herself. I would have no hesitation in recommending PetStay. As for Ian and Caron, we simply could not have asked for a more caring and attentive couple to look after our dog. It made our time away so much more enjoyable, knowing that Connie was in such good and fun care. Please could you pass on my thanks again to Keith and Anne, Chester and Buddy thoroughly enjoyed their holiday and had obviously been so well looked after. They were taken on lots of walks and were given plenty of cuddles, time and attention. They have even come back better trained! I’m so happy to have found such a lovely couple to look after my dogs, we can relax on holiday knowing that they are happy and being well looked after. This was my first time using PetStay and leaving my Archie with someone other than family so as you can imagine I was very nervous. I didn’t have to be as the PetStay service has been second to none. Linda matched Archie and myself to Ian and Caron who made me feel at ease as soon as I met them. They had their hands full with my mischievous boy but nothing was too much trouble. He was totally spoilt and the daily texts and photos put me at complete ease seeing that Archie was obviously completely relaxed and happy in their company. Keith and Anne looked after my dog Dolly so well I thought she might not come home. The service is wonderful, gave me peace of mind and I would use the service again and have recommended it to all my dog loving, dog owner friends. I cannot say one negative thing about this wonderful service,thank you. I got a quick response when I first got in touch with Linda at PetStay and was soon given details of a carer who was available and reasonably close to home. Sue and her husband were great with Jingo who was a bit anxious away from home but they gave him loads of attention to help him settle in. I would definitely recommend PetStay to other dog owners. PetStay has proved to be a very efficient and responsive way of finding a loving and fun alternative to kennels or begging favours from friends! I wouldn’t hesitate to recommend both the company and the lovely couple (Rebecca and Lee…..and their little dog Pippa) who provided a home from home for my border terrier Alf. He was clearly well looked after and I have re-booked them for my next holiday. Such a relief to have this in place and means I can relax and enjoy my own holidays too. I’m pleased to report that O and T had a wonderful stay with Ian and Caron recently. Nothing was too much trouble and they went the extra mile to make them happy and comfortable. We were very impressed with the service at PetStay and Joy is amazing! We felt really confident leaving Lulu with her as she is clearly a proper dog lover. Lulu and her little doggie Gizmo got on well from the get go and Joy just handled the whole thing with such confidence it rubbed off on a nervous owner (me) and Lulu. We were definitely in good hands. Joy sent us the odd text while we were away which was really reassuring, and followed it up after we got home to check everything was ok. We were extremely happy and Lulu clearly had a great time! Ian and Caron were the ideal carers for my Great Dane, Lars. They have the perfect set up at home and are kind, thoughtful and well planned. When I collected Lars, I could see that he had clearly had a great time. We were very happy with the service you provided. You matched Rue up so well and she was very well looked after by Ian and Caron. It was such a huge relief not to have to put her in kennels and knowing she was in someone’s home and with constant company was great. We would not hesitate to use your service again. Oscar was very settled with Brian and Ian. He can be very nervous around new people but they clearly put him at ease. I would highly recommend this service. We were more than pleased with Meg’s stay with Gerard and Yvonne, they are lovely people and Meg was so well looked after. Gov was VERY happy at Judith’s home. I know it was a long stay with her family & Gov. Every time I visited I could see he was part of the family, not just a guest. I know I made the right decision to use Petstay as I knew Gov wouldn’t have coped well for so long in kennels. I had peace of mind knowing that not only was he safe, he was also loved by Judith & her family. That gave me more strength & time to move as quickly as possible. You matched Gov with the perfect family. We thank you so much. We are all still settling in (trying to get the house in some sort of order!). Gov is content. I have promoted yourselves a few times on FB already! Would I use you again…. We’ve used PetStay a couple of times now and have another couple of bookings made for this year. It’s a straightforward booking procedure handled by Linda and then it’s great being able to go away and know that the four legged member of our family is also having a great time. Keith and Anne really do make her feel at home and spoil her rotten with endless walks and ball games. I’m surprised she wants to come home with us when we collect her. “I have used Pet Stay a number of times when I have had to work away – everything from the booking process to meeting carers is handled professionally and with a personal touch rarely found these days. I wouldn’t hesitate to recommend the service to anyone, unlike some other dog sitting companies you get to meet the person who will look after your pet and see where they will be staying. Stanley just had a 4 day stay with Brian and Ian (and Lucy) and loved it! Communication was great and I received a couple of updates and photos whilst I was away. He was well cared for and I highly recommend them as carers. Stanley’s last stay prior to Brian and Ian was with Ryan and again communication was good and Stanley was really happy with him. Highly recommended carer too! Gerard and Yvonne were the perfect carers, they took care of Louis and Lilly as if they were their own and I will definitely be using them again in the future! Thank you for finding us such a lovely couple who I felt so comfortable with to leave my babies for a week. Fantastic service yet again from Petstay. Ellie, our 6 year old black Labrador, gets very excited when we get our suitcases out because she now realises she is going on her holiday too…off to stay with Keith & Anne in Oswaldtwistle, a real “home from home”. Can’t recommend them and everyone at PetStay highly enough. Just want to say thank you, Todd had a wonderful time with Debi and her family. Todd seemed at home straight away, he had freedom to roam around the living room, kitchen and dining room. I had regular contact with Debi and she even sent me a couple of photos to show us how comfortable he was. We would love to use this service again, we all felt very happy knowing that Todd was being looked after in someone’s home rather than kennels. Thank you for finding us Debi, she was very friendly and welcoming. We have found the service you provide a very reassuring way to get away on holiday knowing our very special four legged companion will be well cared for. Ian and Caron went to great lengths to welcome Missy into their home and look after her. They met her every need with great thoughtfulness and kindness ensuring she had a stress free separation from us. We look forward to using your service again in the summer. Our Beagle, Dixie, recently spent a long weekend with Ryan and his family. This was the first time we had left her and we were very apprehensive. However, we didn’t need to worry as she had a fantastic time. Ryan has a genuine love for dogs and this put Dixie at ease straight away. She was taken on lots of long walks and her every need was catered for, she didn’t even seem that bothered when we arrived to take her home. We would recommend PetStay and Ryan to anyone, an excellent service from start to end. Really pleased with service provided, Lynda and family very friendly. Benson & Badger were in very good condition when we collected them, I think they wanted to stay. We will certainly use again.! Could you please pass on my thanks to Keith and Anne for welcoming Buddy and Chester into their home and loving and caring for them so well. Buddy and Chester were so happy when we picked them up and had clearly loved their holiday, which in turn helps us to relax and enjoy our holidays!! Rufus enjoyed another stay with Yvonne and Gerard his PetStay carers. PetStay is a first class service and knowing Rufus is enjoying a holiday himself helps us to relax and enjoy ours. Rufus was almost ready for a haircut when we dropped him off and the care and attention Yvonne and Gerard gave to his fluffy coat was brilliant. Rufus loves a fuss and he certainly gets fussed over at Yvonne and Gerard’s house!!! Thank you PetStay – until next time! Maddie our springador puppy has stayed with carers on several occasions and has been happy and settled with them all. It’s given us real peace of mind and we’ve been more comfortable leaving her in a home from home rather than in kennels. We already have more sessions booked. The visits beforehand give real confidence and we get feedback and photos and anecdotes of her stay. It’s a really individual and personalised service suited to your dog and their needs. I can’t see us ever putting Maddie into kennels. Our dog Oscar usually goes into boarding kennels but he was very unwell earlier this year (nothing to do with boarding him in kennels) and we wanted something more like home from home – we were not disappointed. From the minute Oscar visited his new best friend to see if she would be happy for him to stay he was in heaven! Oscar only stayed for two nights but we could tell immediately we picked him up that he had been absolutely looked after and he had really enjoyed himself. PetStay allows you to make choices about who cares for your pet and what environment they will stay in by being able to meet the carer beforehand – Oscar’s new friend was exceptional and we will definitely use the service again. Our dog Coco, is a rescue dog from Spain, she had no experience of kennels and is 10 years old so we were a bit worried about leaving her with strangers. However her stay with Bill and Barbara was a great success which we have repeated again; even though she was a little unwell they coped wonderfully and when we arrived to collect her she was reluctant to leave them! I would definitely recommend PetStay as an alternative to kennels. Linda and her staff were efficient and helpful and we will be using them again in the future. Linda and her team of sitters are great. Communication is easy and being able to go to see your carer before you book is a great idea as it gives even more peace of mind. My dog Ellie enjoyed her visit with her sitter and we will be booking again as when we went to collect her from Isobel’s she didn’t want to come home! The sitters follow your dog’s daily schedule to the letter and are fully insured and unlike kennels, your dog is free from stress. A great service and well worth the money. Please pass on my thanks to Anne and Keith for looking after Chester and Buddy so well whilst we were on holiday. They welcomed them into their home, took them walks and loved and cared for them, we could not have wished for better people to look after our dogs. Thank you so much for finding Ian and Caron as carers for our 2 Labradors. We have just collected Maddie and Roma from their 3rd stay with them, where they have had a great time. The two dogs were obviously pleased to see us, but were just as obviously happy to be with Ian and to see Caron when she came home. They have had lots of walks and cuddles, and have been spoilt by Ian an Caron for the 10 days they have been there. It is lovely to know that they have been so well looked after. PetStay is super. Truffles has just had a holiday with Jennifer who looked after her beautifully; home from home. Every need was catered for and Truffles was happy and relaxed in her carer’s home. I cannot recommend PetStay enough. Hugo and Jed stayed with Ian and Caron in Bury Lancs. This was the first time I had used PetStay and felt very happy to leave my two with the couple that were matched to us. Ian was the person who looked after the dogs during the day as he worked from home and walked them three times a day, a treat for them as they only get two walks at home. The dogs’ daily routine was adhered to and also letting them sleep on the landing even though they wandered into the bedroom between 3-5am and got Ian up most days. I told him we slept with the bedroom door shut but he insisted it wasn’t a problem and just wanted to make sure the dogs were ok. On the day we collected the dogs he did look rather tired. I would have no hesitation in leaving them with Ian again if he was happy to have them. Just collected George, our Curly Coated Retriever from a 17 night stay with Ian and Caron in Bury – he has had a fantastic time! Ian and Caron are real dog lovers who provide expert care and kindness. Nothing is too much trouble and we could see that he would settle in with them immediately. When we were away it was lovely to receive regular updates and pictures of him obviously having such a good time. It was total peace of mind and we could enjoy our holiday knowing that he was being so well cared for. Thank you Linda for finding such a great holiday home for George and a big thank you to Ian and Caron – he had a great time with you. I was very pleased with Gerard and Yvonne, when they had my little dog Ozzy. He came back very happy and content, and seemed to have enjoyed his little holiday. Would highly recommend PetStay. This was the first time I have ever left my 1 year old Dogue de Bordeaux, Norman so I was very nervous. After meeting Linda and our host Joy I was quickly reassured that Joy would look after Norman just as we did. I can honestly say that Normans host Joy is amazing! I will definitely be booking Norman in to stay with Joy again! This service is second to none! Absolutely Fantastic! Absolutely over the moon with the home boarding service from PetStay hosts Gerard and Yvonne. Our seven year old springer spaniel had a fabulous time in their care. Exceptionally high standards and worth every penny. Hi Linda, just wanted to say a massive thank you to PetStay for organising such a loving home for Coco whilst we were away. I have messaged Isabel to say thank you. Just picked my dog Annie from a long weekend at PetStay and although she was very pleased to see us was in no rush to leave which shows how happy and relaxed she felt there. Ian and Caron sent us texts and pictures which just made our weekend more relaxed knowing she looked happy. Would definitely recommend PetStay and will be using them again. My two boisterous golden retriever pups – one 18 month old and one a year old- went to stay with Ryan and we were so pleased with the care they received. I was a little apprehensive at first, as they can be a handful but from the moment we met Ryan and his family we were immediately at ease. The boys had a lovely time, went for nice long walks and we got sent lots of photos of the things they had been up to during their stay, which I appreciated so much! This was the first time that Fred and Arch had ever been away from me and not stayed with family, and it was so reassuring to know that they were well looked after in another family’s home. I would 100% recommend Petstay and Ryan to anybody – I am delighted with the care they received! Last night I picked up my 2 babies, my boxer dogs Milo & Bella, from the very lovely Ian and Caron in Bury and I could tell they’ve had a wonderful time. Ian and Caron have gone out of their way to accommodate these 2 demanding doggies, getting plenty of walks, lots of places to sleep, lots of cuddles and lots of love. It’s a total peace of mind going away knowing they are well cared for, so thank you for finding me a lovely home for them to spend their holidays at. Just a quick note to let you know how pleased we were with Joy, the pet sitter you recommended to us to look after our Tibetan Terrier Honey. We called to collect her on Saturday morning and found a very happy and contented little dog who had obviously settled in to life with Joy and her adorable dog Gizmo. It was the first time we had left Honey with anyone but family and there is no doubt that I was worried that she wouldn’t settle but I needn’t have as she undoubtedly did. We will be back to you in the future and will book early so that Honey can go back to Joy’s. Excellent service and really appreciated spending time with Stanley’s carer Betty prior to his stay. From my initial phone call to PetStay and speaking to Linda up to today when I collected Stanley, I can honestly say we have received a first class service. Highly recommended by both myself and Stanley. I recently left my elderly dog with Ryan and his family while I went away on a week’s holiday. Penny can be demanding, I am well aware of that! Upon my return I was delighted with the way Ryan and his family had cared for her. Nothing had been too much trouble to keep her happy. Penny was perfectly at ease with them, and didn’t appear concerned about coming home with me! I would like to thank Ryan and his family for their expert care and kindness towards Penny. I have arranged to leave her with them again in September, and will leave her without any worries as their care is second to none. This is the second time we have used PetStay and Georgie (our Staffie) has loved both her stays – the most recent one even more so, after staying with a couple and their dog Barney. It may cost a little more than kennels but she gets looked after properly, gets the attention she needs and is loved like one of their own. My thanks to Linda at PetStay for her tireless efforts and time she gives to this – we will not be sending Georgie to a kennels ever again and hope to send her back to the same place next time!! This was the first time we have used this service and I won’t hesitate to use again if needed. Binky my pug seemed to have a great time with Lynda and she kept me informed about how Binky was doing by text which put my mind at rest. A much better option than to put her in kennels. Billy and Wags really enjoyed their stay and I wouldn’t hesitate to recommend PetStay. The whole professionalism of the service, from first contact to being able to visit where they would be staying and see how happy they were there, was brilliant and reassuring. We had a great holiday knowing that they were being really well looked after and they had a great break, even coming back with some holiday snaps from their outings!!! Petstay provide an excellent service, I was so impressed with Linda who looked after my dog, Ellie at Christmas that I booked her immediately to look after her over Easter. Ellie enjoyed her stay with Linda and her two red setters, Toffee and Fudge. Linda kept me updated on how Ellie was settling in and sent a picture, which was a nice touch. What a brilliant idea to have your pet stay in a family home rather than a kennel. I will definitely recommend Petstay to all my pet loving friends. Deli had her first holiday with Dave and Suzanne and Barney. She loved her stay and couldn’t have been made more welcome in their home. I have no doubts that she was spoilt as I also got photos of her relaxing on the sofa and being cuddled (her favourite!) She was a very happy dog during her stay and I will not hesitate to book her for her next holiday. Thank you. Truffles stayed with Ryan and his family for 12 nights. She was well cared for and spoiled just like at home. I was a bit nervous as she is only 6 months old, but Ryan has lots of patience and played with her beautifully. She looked well and happy when we collected her and I shall not hesitate using Ryan and his family again. Thank you PetStay. Can HIGHLY recommend PetStay’s services. Great alternative to kennels – my dog came home relaxed, happy and pampered instead of guilt-tripping us with sad, accusing eyes! PetStay’s services were perfect for my needs. My two dogs aren’t happy in kennels (they’re getting older and are used to their home comforts!) I’d contacted other, similar services but didn’t find they suited my needs (they wouldn’t let me meet the hosts!) With PetStay Scamp and Ruby got to meet the host family before their stay and, on picking them up afterwards, it was clear that they’d settled in really well and had as good a time as I had! Mum’s little dog Poppy was cared for by Betty, one of PetStay’s dog-sitters. Poppy stayed with Betty for much longer than we anticipated because of Mum’s protracted illness. However, Linda and Betty were very accommodating and helpful. Knowing that Poppy was being well cared for took a lot of pressure of us at a difficult time. Many thanks. I would readily recommend this service. Incredibly professional and well organised service. The best compliment I can pay PetStay is that my dog didn’t want to come home with me! Having used a similar service in the N.E. we were keen to find a company when we moved to the N. W. who would be able to introduce us to a suitable host family prior to leaving our 3 year old Leonberger Lola. Linda at Petstay offered this and more. We talked through a couple of options ( despite it being short notice). She then met us at our hosts home where we could see how Lola interacted with the family and their own dog. This made us feel completely happy and relaxed about leaving her and in fact she was incredibly sad to leave. We would definitely use this service again knowing our dog was having a happy holiday too. We had to go back to France for the weekend and were looking for a nice home and family to take care of our girls while we were away. PetStay introduced us to Ryan and his family and it was perfect ! We were able to go away with peace in mind; knowing our girls were very well treated. Many thanks for that !! It was Peggy’s first holiday without us and she was made to feel right at home with Lauren and Robert. Were we happy? Oh yes and have already booked another break for Peggy with her two new friends. Linda gave me the choice of places where my labrooodle could stay while we were on holiday and enabled us to select the most appropriate. We were given a full understanding of the environment and could be very specific in our requests to ensure Chester’s routine wasn’t disrupted significantly. The couple who looked after Chester were wonderful and we were very reassured by the professionalism of PetStay and the warm, welcoming approach of the family Chester stayed with. I can’t thank PetStay enough for providing piece of mind for us and a lovely holiday home for Chester. Our two Golden Retrievers, Tilly and Amber will be going for their 3rd stay with their carer Ryan at the end of the month. They really seem to be very happy and settled with him and his family. It makes all the difference knowing that your pets are well cared for in a family environment when you are away. Our dog stayed with a lovely family for 2 weeks. We were let down at the last minute by another company so this was all arranged by Linda with only a few days notice. Absolutely brilliant service and we will definitely be using PetStay again. Excellent service. My Shih Tzu Lola stayed with Betty. A lovely lady who could not do enough for Lola. She put me at ease as I was really worried about leaving her. I had regular contact and photos while I was away. I would definitely recommend and use again. Thanks again Linda and Betty. Thanks for your help looking after Bella. She seems to have been quite happy and has been very chilled since she came home. Our two dogs (one only 6 months old at the time of the stay) had a great holiday with a lovely family. Even though the young one was a challenge for them, they still said they would have them back anytime. We were worried about putting the dogs in kennels as they have never been in kennels before but then we came across Petstay and we relaxed a lot more on holiday knowing our dogs were being properly cared for. We would definitely recommend using the service. My 2 dogs stayed with a lovely family and we were very pleased with the time away from home service. Come see us at DogFest 2016!! I am delighted to be the owner of PetStay East Lancs & Bury and I aim to provide a tip-top service, so will be recruiting lots of excellent carers to help me. I will be out and about spreading the word at local groups, events and supermarkets over the coming months so please check this page for venues and come along and meet me. PetStay East Lancs & Bury’s office address is 747 Burnley Road, Crawshawbooth, Rossendale, Lancs BB4 8BW For the purposes of data protection PetStay is a data controller (ZA327175). You can verify the details you have submitted to PetStay by contacting us by email linda@petstay.net or by post at PetStay, 747 Burnley Road, Crawshawbooth, Rossendale, Lancs BB4 8BW. Alternatively, you can telephone us on 01706 538038. You can always feel free to update us on your details at any point by sending an email to linda@petstay.net . You can request a readable copy of the personal data we hold on you at any time. To do this, please contact us via email linda@petstay.net .